Rule #1: The Sergeant is ALWAYS right. 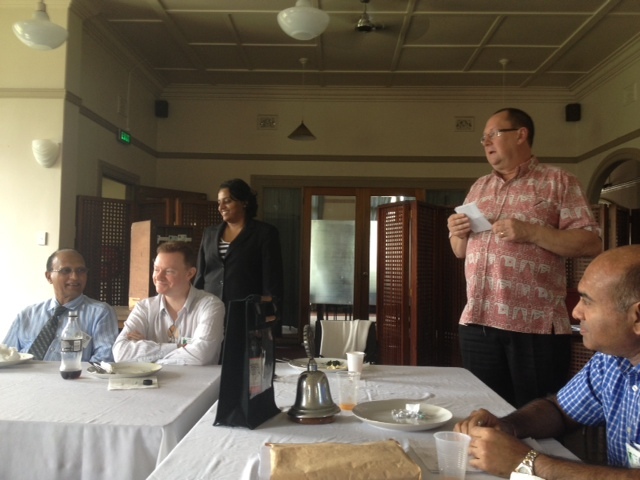 Rule #2: See Rule #1.
Who is the current president of the Rotary Club of Suva? What is the Rotary organization called that is geared toward high school students? Who is the founder of Rotary? Did you know all the answers? Our members certainly didn’t! The club raked in some hefty fines this week, despite the lack of a speaker. In future weeks it was agreed that in the place of a speaker, new members should give a vocational talk about their work. We have a few to choose from! So get your presentations ready! And for those who are still clueless… study up for next time. Sergeant Bruce has no mercy! Tags: #RotarySuvaEast. Bookmark the permalink.